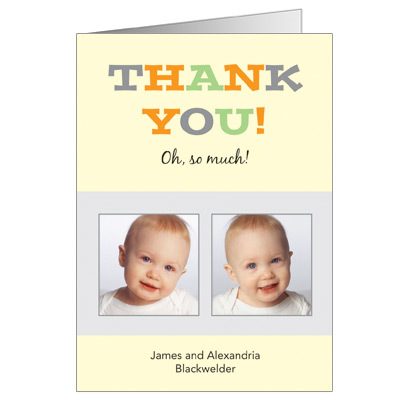 This is the perfect Christening thank you card for twins! Bright, youthful colors and fun type bring out the best in photos of your twins. Folded card measures 3.5x5.